In the early 1990s, a trio of psychologists descended on the Universität der Künste, a historic arts academy in the heart of West Berlin. They came to study the violinists. As described in their subsequent publication in Psychological Review, the researchers asked the academy’s music professors to help them identify a set of stand out violin players — the students who the professors believed would go onto careers as professional performers. We’ll call this group the elite players. For a point of comparison, they also selected a group of students from the school’s education department. These were students who were on track to become music teachers. They were serious about violin, but as their professors explained, their ability was not in the same league as the first group. We’ll call this group the average players. The three researchers subjected their subjects to a series of in-depth interviews. They then gave them diaries which divided each 24-hour period into 50 minute chunks, and sent them home to keep a careful log of how they spent their time. Flush with data, the researchers went to work trying to answer a fundamental question: Why are the elite players better than the average players? The obvious guess is that the elite players are more dedicated to their craft. That is, they’re willing to put in the long,Tiger Mom-style hours required to get good, while the average players are off goofing around and enjoying life. We can start by disproving the assumption that the elite players dedicate more hours to music. The time diaries revealed that both groups spent, on average, the same number of hours on music per week (around 50). The difference was in how they spent this time. The elite players were spending almost three times more hours than the average players on deliberate practice — the uncomfortable, methodical work of stretching your ability. This might not be surprising, as the importance of deliberate practice had been replicated and reported many times (c.f., Gladwell). But the researchers weren’t done. They also studied how the students scheduled their work. The average players, they discovered, spread their work throughout the day. A graph included in the paper, which shows the average time spent working versus the waking hours of the day, is essentially flat. The elite players, by contrast, consolidated their work into two well-defined periods. When you plot the average time spent working versus the hours of the day for these players, there are two prominent peaks: one in the morning and one in the afternoon. In fact, the more elite the player, the more pronounced the peaks. For the best of the best — the subset of the elites who the professors thought would go on to play in one of Germany’s two best professional orchestras — there was essentially no deviation from a rigid two-sessions a day schedule. This isolation of work from leisure had pronounced effects in other areas of the players’ lives. Consider, for example, sleep: the elite players slept an hour more per night than the average players. Also consider relaxation. The researchers asked the players to estimate how much time they dedicated each week to leisure activities — an important indicator of their subjective feeling of relaxation. By this metric, the elite players were significantly more relaxed than the average players, and the best of the best were the most relaxed of all. and furthermore, they spread this work haphazardly throughout the day. So even though they’re not doing more work than the elite players, they end up sleeping less and feeling more stressed. Not to mention that they remain worse at the violin. I’ve seen this same phenomenon time and again in my study of high achievers. It came up so often in my study of top students, for example, that I even coined a name for it: the paradox of the relaxed Rhodes Scholar. Hard work is deliberate practice. It’s not fun while you’re doing it, but you don’t have to do too much of it in any one day (the elite players spent, on average, 3.5 hours per day engaged in deliberate practice, broken into two sessions). It also provides you measurable progress in a skill, which generates a strong sense of contentment and motivation. Therefore, although hard work is hard, it’s not draining and it can fit nicely into a relaxed and enjoyable day. Hard to do work, by contrast, is draining. It has you running around all day in a state of false busyness that leaves you, like the average players from the Berlin study, feeling tired and stressed. It also, as we just learned, has very little to do with real accomplishment. This analysis leads to an important conclusion. Whether you’re a student or well along in your career, if your goal is to build a remarkable life, then busyness and exhaustion should be your enemy. If you’re chronically stressed and up late working, you’re doing something wrong. You’re the average players from the Universität der Künste — not the elite. You’ve built a life around hard to do work, not hard work. The solution suggested by this research, as well as my own, is as simple as it is startling: Do less. But do what you do with complete and hard focus. Then when you’re done be done, and go enjoy the rest of the day. This post is the first in my series on the deliberate practice hypothesis, which claims that applying the principles of deliberate practice to the world of knowledge work is a key strategy for building a remarkable working life. Thanks for the article Cal, as always – great use of the case study method to illuminate this fundamental time-management principle. But a keen reader will immediately see that from the two elements suggested here, time structured for deliberate practice and the practice itself, it’s the latter that’s the more difficult. To use your example, the maestros not only know when to practice, but they also know how to practice. I’d argue that it’s this element that prevents most people from becoming more than merely good. And, admittedly, it’s this element that’s the more difficult to crack as it involves a number of cognitive, capital, and emotional elements to align. I’d encourage a future post that discusses some of these generalizable principles (e.g. identifying great coaches, generating constant feedback, self-discipline, etc.) if you feel that they are within the realm of your blog. Firstly, what was the time gap between the two intense practice sessions and how did the elites use this time to relax and recharge? Secondly, 7*3.5 = 24.5 hours. If that’s all the time devoted to deliberate practice what were they doing for the remaining 25.5 hours and how did that affect their abilities? Really great article, nice to hear a follow-up and response to the gladwell reasoning. Great job summarising everything into one actionable to-do! Fifty hours a week is relaxed when you consider how it is divided. Three and a half hours per day of deliberate practice is not even half of the fifty hours. It’s 24.5 hours, and that’s assuming these numbers include weekends. These are college students, which mean they are probably averaging 15 hours per week in class, and since this is a music school we can assume that figures into their fifty hours per week spent on music. That brings us up to 39.5 hours. These students are probably spending five or six hours a week in an orchestra rehearsal. Let’s call it 5.5, which brings us up to 45 hours. Then, they likely have at least one hour of private lessons. Now we are at 46. We can easily assume the other four hours are accounted for in homework for music classes. There are 118 additional hours in the week. If they sleep a full eight hours a night and spend three hours a day on things like eating and personal hygiene, that still leaves 41 hours of free time. That allows for a part-time job, regular exercise, a couple of hours for an outside hobby, and an active social life. I think there may be something extra contributing to the differences in skill between the two groups. You often advocate simplicity and minimising distractions in your posts. Multi-tasking research supports this philosophy. When we switch between tasks or try to do two things at the same time we end up taking longer to perform the tasks and we can overlook crucial details, neither of which are productive. These problems arise due to the costs of dividing our attention and the time taken to get back ‘into the zone.’ The elite violinists would not have faced these problems because they consolidated their practice. However, the average players spaced theirs out across the day. They probably wasted a little bit of each practice session getting back into the zone. These losses would have accumulated across the day, reducing the effectiveness and impact of their practising as well as leading to the later study hours etc. you mentioned. So maybe the deliberate practice components of trying to step outside their comfort zone AND maintaining focus rather than switching between tasks was what gave the elite violinists the edge. Just a thought. I would argue that the specific example of musicians is one that is not easily translatable to “elite achievers” universally. There are many fields in which definable elites exist who do not require such rigidity. In some areas, lack of rigidity is far more beneficial. I work in many different areas of the computer world and find that the elites are, more often than not, ones with their fingers in more pies than they have digits, so to speak. The very best can do their chosen “thing” better than anyone, yet that always requires that they be at least competent, if not particularly capable, in other areas as well. Being a superlative musician does indeed require intense, specific practice. But not all things mirror that pattern. This mold may apply to many disciplines. It does not apply in general. It seems to me that cause is being confused with correlation. From what little I have learnt of this experiment, I could conclude that there are a certain set of people who just seem to have everything … they are elite players, sleep more, are more relaxed etc. There’s nothing in it that tells me that the latter attributes contribute to ones musical ability. Pingback: the wire: 11/11/2011 | hrudu. Just wanted point out here that it may also be possible that this correlation may be reversed — that is, the elite were able to be more relaxed and spend more time on leisure because they were the elite and not the other way around. Perhaps eliteness produces relaxedness instead of relaxedness producing eliteness. I agree with your general point, though I have never heard of relaxation being described as vicious! Perhaps more of a virtuous cycle, in this case. This is the only comment that addresses the elephant in the room – the problem of determining causation. Perhaps the original article in Psychological Review discusses this, but I’m surprised Cal did not say a word about the possibility of reverse causation or of the third variable problem. If would be nice if Cal pointed to a study that used a randomized design procedure to assign people to two groups that used different study strategies, and then observed results. I find Honourable Mentions comment almost as valuable though, as it gives an explanation why this is actually the case. My question: can you use this knowledge as a manager, a start-up manager? Can you become a better manager by applying this “methodology”? @Shrutarshi Basu: as a musician not everything you do is practicing. there are reheasals, concerts, an a very important part listening to music. professional musicians spend a lot of time listening, which for me would fit with the relaxed lifestyle. 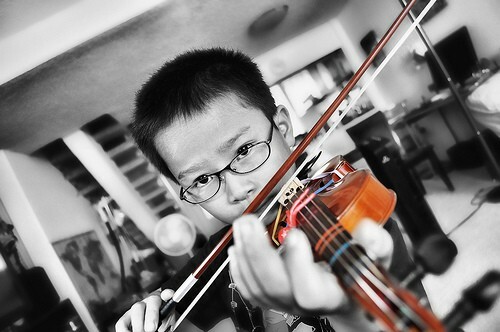 many to-be professional musicions practice a lot during childhood and adolescence. whereas average musicians do not/spend less. I too had the first same impression as Carl, that perhaps it was the ‘gift’ of the elite that allowed them to be more relaxed. However, from personal experience and observation I’d say the conclusions are correct. Personally, I was an extremely high achiever throughout my academic career, but was always much more relaxed about work than other students. They seemed to be always studying while I was relaxing. But then when necessary, i.e., before exams, I would just study non-stop all night! While this is an interesting research, it is related ultimately to a kinesthetic skill. While we can take cues from it, it would be illogical to extrapolate this to everything a student or a career oriented professional does and going to the extent of saying “if your goal is to build a remarkable life, then busyness and exhaustion should be your enemy”. However, we can always benefit from the learning that deliberate out of comfort zone practice + focused consistency may be helpful in general to get ahead. Your math is a bit off. 3.5 hrs of deliberate practice a day, becomes 50 hrs a week…how? 3.5 * 7 = 24.5! Caroline, 50 was just an estimate. Remember the article says 3.5 Hrs twice a day (2 times a day) with a break in between. So it’s actually [3.5+3.5] X 7 = 49 hrs. It is correct that 3.5*7= 24.5 hrs. however, the interesting thing is that precisely Malcolm Gladwell, whom you refer to, tells a different story in ‘Outliers’. He actually also talks about musicians at a German academy (I wonder if it’s the same study). What he claims there they found was that the difference between elite performers and the rest was simply hours of practice. That’s where the 10’000 hours rule comes from. He claims they found that the elite performers had practiced a total of 10’000 hours at that time, the good but not great ones 8’000 and the ones who will be teachers 5’000 or so. I’m curious which story is right…but Gladwell says the exact opposite of what you’re saying here. What gladwell talked about was the “cumulative hours of practice”, it’s different from this article. From this article, I wonder whether the elite players are more focused during their practice which made it more effective than those average players. This is so true – I found as an undergraduate I had poor work/life discipline, and both suffered as a result. When I graduated and started a full time job, it was great – get into the office, work solidly, leave, and then my free time was wholly mine. I’m now doing contract work and noticing the lines start to blur again slightly – this article has provided the kick I needed to put a stop to that right now. I was a music major in composition and arranging in college and can tell you that though you might spend 3-4 hours in deliberate practice, you are also in group rehearsals, theory classes and other music related activities for another 3-4 hours daily. In other words, the 50 hr figure is correct. Keep spewing out nonsense. I’ll keep knocking you down. Funny thing, just asked today some students of the University der Künste whether they know or don’t know the study. what does this tell us…? Shuttle_Service, thanks for that link. I read the paper myself and I quite agree: the interpretation here is WAY off. So, yeah. This is completely upside-down. The actual paper says nothing of the kind without an extreme amount of very self-serving editing. I read this paper a couple of months ago, to help with my own personal development and practice. The paper says that the award winning musicians practiced 15 hours a week, the best practiced 19, the good 16, and the music teachers 9. So, that kinda shows that the award winning musicians didnt practice a lot more than the other ones. More importantly, though, is that Cal is trying to show that being an elite performer does not require a life of being stressed out. The Ericsson paper proves this, too. The award winning musicians took more naps, structured their free time more, and had more free time. 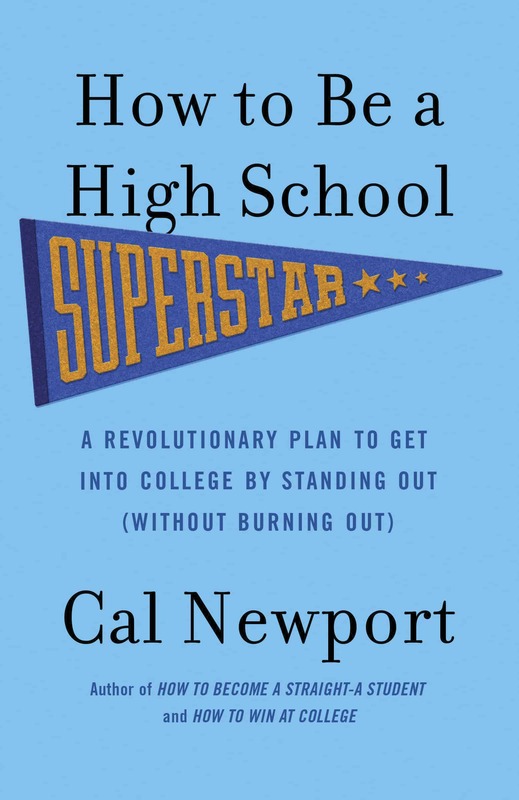 One of Cal’s main ideas is that being an elite performer can be achieved with a balanced, happy life. The Ericsson paper proves this, along with many other examples. The ‘award winning musicians’ is from another study (Kaminski et al., 1984). They cite another study – not their own study. Don’t take this guy’s word. Whatever study he cites, go read it for yourself. Loved the article, right up my alley. Upon reading your article, one fundamental idea that came to mind was that context switching has measurable costs and can lead to wasted time and energy. Plus, focusing over a long period of time allows one to reach depths of discovery that may be unobtainable otherwise. I dont think either of us wants to turn this debate into a flame war on Cal’s post. I have read the Ericsson paper. My numbers might have been wrong, so I apologize for that. Still, I distinctly remember the paper explaining that the high achieving musicians took more naps and had better structured, and I think more, free time than lower performing students. Again, this ties in with one of Cal’s main ideas and the ultimate point of this post- becoming great at something does not require a life of complete stress and being tired. Yes, you will have to work, and work hard- Cal has always made this known in his articles (which I think a lot of people dont recognize). But after that hard, focused, purposeful work is done, you can relax and have fun, with the confidence that your work efforts will help you become great. Becoming great at something will then give you career capital in other areas, so that you can lead a great life. Pingback: If You’re Busy, You’re Doing S… (calnewport.com) « e-what? I have not read the original study, however please note that music students and music education students are worlds apart. If you know you are not going to be competing in performance it makes no sense to spend as much time practising as the performance majors. Furthermore, many music education student ended up in their field because they wanted to continue in music but did not have the same ability to compete well as a performer. From what you wrote, it was not clear whether the practise patterns reflected practise before or after selection into performance or education worlds. It would have made more sense to design a prospective study documenting practise patterns and professional ambitions before measuring outcomes..
Can we transfer this information about violinists to benefit people spending two months studying intensively for a high-stakes examination? I recommend to bar candidates that they spend most of their day studying, i.e., eight to 10 hours a day, with 10-minute breaks every 90 minutes. Should bar candidates study fewer hours? Do those 10-minute breaks relieve stress, or are they a distraction? I am skeptical about the conclusions given in Cal’s post. The main issue I see is that part of being an elite musician is to really love one’s instrument and music, to have the conviction that this is what one wants to do for the rest of one’s life – and to have the technical skills for it. Many music students lack one or the other, or both. They may still be reasonably good musicians, but they lack the inner drive. And no amount of productivity hacks can make up for the lack of that inner drive. As students or workers, unless we are really sure that we are preparing for or are living our vocation, our call, principles that apply for those who do believe are having such a call, do not apply. If, for example, a student is sure in themselves to become a brain surgeon and this is all they want to do in their life – allright, then I think the productivity principles of elite music performers may apply. But most students and workers are not like that. Most people don’t really know what to do with their lives. Most people do not have the kind of one-pointed focus and conviction that the elites do. So I think that the principles that apply for elites do not apply for the ordinar(ily) confused person, however well-intended the advice may be. Follow up. Most law school graduates are not the brilliant violinists of their classes, the time is short, and the stakes are high. I recommend taking one day off per week. But does the research indicate a better strategy for them, with the knowledge and study skills they already have? Cal, I can see your philosophy here is very different from that when it comes to becoming an A* Student. I guess the answer is that these ideas are supposed to answer how to become a grandmaster, rather than achieving high grades? First, there is some confusion in the comments about the difference between the total hours dedicated to music and the total hours dedicated to deliberate practice. Both groups spent around 50 hours per week dedicated to music. This is around 7 hours a day on music. Within these 7 hours a day, the elite players were dedicating 3.5 of these hours on deliberate practice while the average players were dedicating only like 1.5. In other words, they were both working the same amount of time, but the elite players spent more of these working hours on what mattered. @HonourableMention: I like your hypothesis that part of what helps about focusing your practice is that it minimizes context switching. I wouldn’t be surprised if this is one of the advantages gained by the elite players. @Sriram: Welcome to the world of social psychology research. @martin: Something I didn’t mention is that the author’s controlled for amount of time dedicated to playing violin over the subject’s lifetime so far. That is, both groups had been playing for around 10 years. On the other hand, the elite group had consistently dedicated more of that time to deliberate practice. @Brian: Gladwell was counting hours of deliberate practice. That’s what’s interesting about the details of this study, it’s not that the average players spend less time “doing music stuff” than elite players, it’s just that they spend less time “doing *important* music stuff.” In other words, the average players do not have more free time on their hands than the elites, which is something you might mistakenly take away from Gladwell’s presentation. @Simon: when measuring someone’s relaxation, what matters is their subjective state: do they feel relaxed or not? With this in mind, “estimated hours spent in leisure activities” is the more relevant metric here. The fact that the average players estimate that they spent much less time in leisure activities then they actually did shows that they do not feel that relaxed. It also shows that these increased number of leisure time hours are likely spreading out through the day, in between work, in a way that isn’t really registering as leisure. @Amy: I’m not familiar with Simonton…looks very interesting. @Sophia: That’s a common assumption, but I don’t know that it’s true. 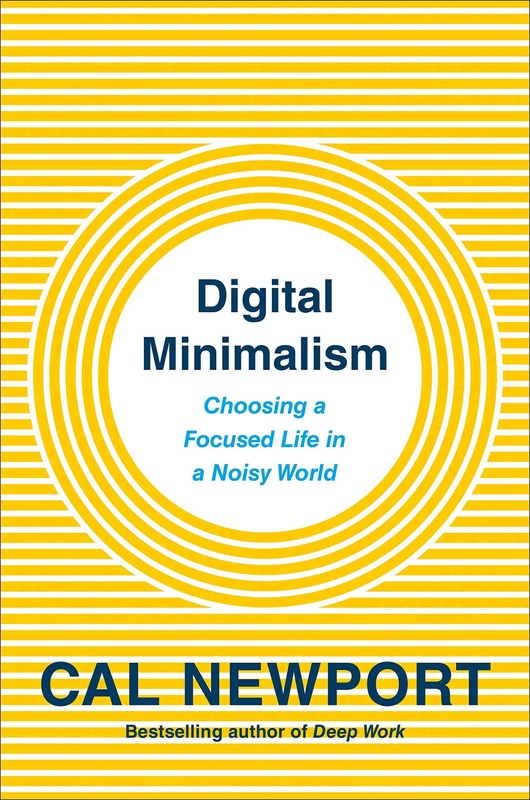 An interesting place to explore that argument is in the work of Bloom (and his students) on how virtuosos in many different fields developed their skill. They find no evidence of an early decision about livelihood, or any evidence of early display of unusual talent. The build up toward taking the decision to pursue something like music full time is gradual, playing out over years, and having to do with many small factors along the way. In other word’s, there’s no magic here. You don’t need a violin gene to become a professional violinist. You need 10,000 hours of deliberate practice, one way or the other. This article is comparing apples with oranges…. not apples to apples. Tthe “average” players are not striving toward the same goal as the “elite” players otherwise they would be in the same major. Training to teach music means they must take their focus and energy away from learning the craft of performing…. they will never be able to become “elite” teachers while they focus on being “elite” players and they will never become “elite” players while they focus on being”elite” teachers. Leaving aside the arguments above regarding the total working hours; the research points strongly in the direction that deliberate practice is vital and task-switching is generally bad. For a kinesthetic task such as violin or tennis, deliberate practice appears to be quite straight forward (e.g. repeating passages of music, chords, etc. or for tennis repeated backhand crosscourt followed by repeated backhand down the line, etc.). However, I’d be interested in finding out what are Cal and readers ideas for deliberate practice in say computer programming, maths, research, or say electronic music production? Test sets, simple programs, mini-projects? In other word’s, there’s no magic here. You don’t need a violin gene to become a professional violinist. You need 10,000 hours of deliberate practice, one way or the other. I am not convinced this is true; I do not even remotely see myself succeeding with such a pattern. I am sure I could become reasonably good at what I would practice – but I don’t think I would love it or be passionate about it. Findings from general developmental psychology and practical life suggest that it makes a big difference when in life we begin to practice something, because our cognitive and physical abilities change dramatically over time. For example, the average adult person can never learn a language with the ease that young children do. And if you’re 20 years old when you first start practicing ballet – forget it, you’ll never be a prima ballerina. To learn reading and writing as an adult is much more difficult for adults than it is for children, and the teaching and practice principles are different. On the other hand, marathon running is something that people around 40 are more suitable for than younger ones. 20-year old military generals are not common either. One can become good at many a thing, and sound productivity strategies certainly play an important role in this. But to love what one does, to feel fulfilled by it – that is another matter. @Damo: Can you summarize that paper for us? Sounds fascinating. @Simon: I think you’ve hit on the most interesting question lurking behind this work. I’d love to hear peoples’ experience in this regard. I’m also preparing some more research and posts on this “deliberate practice in the wild” topic in the near future. Stay tuned! @Sophia: The role that age of acquisition plays in skill development is interesting. The DP folks tend to brush aside, saying starting young is only important in that it gives you a head start on acquiring practice hours. But the examples you give confirms that more can be at play. In terms of the difference between being good at something and loving something, I think the idea that these are independent is flawed, and a uniquely modern American perspective. I suspect that love for something often draws heavily on mastery of that thing. Having had a friend who switched from music to music education, I can tell you that they are very different programs. For one thing, you aren’t just practicing the violin (or whatever your instrument is), you are learning to play all the instruments that would be in an elementary school band and/or orchestra well enough to teach that instrument to a beginning student. You almost don’t play your “home” instrument anymore, because you are so busy learning the others. I don’t know if this is how the German program works, but that is what my friend went through. She actually took a year off from college and went back home, volunteering in her old school system’s music education program in exchange for lessons from the teachers. She often played with the 5th and 6th graders, who thought it was hilarious. I would definitely call this work deliberate practice – she did it on her own so that she could pass all the exams certifying that she could play the instruments well enough to teach without paying the college level tuition and music lessons. We lost touch after school, hope she is still a music teacher. As for the violin gene/age thing… part of the problem is that to become better, you need good teachers. The really good teachers only want to take pupils who have a strong chance of succeeding. If you want to be a professional musician, realistically you have to get one of these teachers to take you on. It’s really the master teachers who determine what the threshold talent level for a given field is. Some may find another way in, but…. “Some say success is determined by who you know. Others claim it depends on the quality of your work. The truth is, the quality of your work determines who you get to know.” –Terry Rossio, Oscar nominated screenwriter of Pirates of the Caribbean. Oh, so the study was misinterpreted, and Gladwell’s work still stands up? Alright, then I don’t feel so bad that the site ‘ate’ my 500wd post. Cheers. It has been my observation in my experience teaching folks across a huge range of ages from primary to retired individuals that the reason that Sophia’s observation about the apparent learning difficulties is apparently true is because the way folks at different ages respond to learning. I observed that when one is in primary that they know they don’t know everything and consequently are more prepared to have a go at what they don’t know. Secondary school – I made a mistake! Oh dear I look so silly in front of my peers. Oh well. (shrug). At adult hood there is this perception that one knows what they should do so they will get it perfect the first time and when they don’t the consequent shame becomes a significant hurdle to proper learning. I would always start with a new group of adults by reminding them that they were in this room because they knew that they didn’t know everything so be prepared to make mistakes and don’t feel bad about it. One particular gentleman sticks out in my mind because he came into the classroom every lesson and after I was finished with him he was my star student. He was prepared to forget the shame of making mistakes and get on with learning which is what he was paying to do. To put it one more way, kids fall down and bounce straight back up. Adults fall down and stay down. Cal, I see that my question is being left as an exercise for the writer. You’ve given me, as always, a lot to think about. I have still not worked out what is possible, under the circumstances of limited time to prepare for a high-stakes exam and students’ prior training. @Michael A. Robson, The site has eaten drafts of mine, too. Your article is very interesting and useful. It got me into thinking I may be more of an average player. However, I have noticed that, when my tasks inlude my passions I “miraculously” turn into an elite player. Therefore, I believe that the main difference between hard work and hard to do work is passion. As Confucius said: ”Choose a job you love, and you will never have to work a day in your life.”. Those who are passionate about their work focus easily, hence are better prepared which leads to them being more confident and relaxed. While the people who do not do their work with pleasure get distracted easily and waste too much time not practising, when practising :). Thank you very much for your article. It added strong bricks to my beliefs. Cal, if this is the same study detailed in “Talent Is Overrated” then you’re glossing over an important point. The elite students took naps mid-day because directed practice is so exhausting, and so unpleasant, that they needed more sleep. Both the elite students and the music teachers ranked directed practice as the least pleasant activity, below chores and laundry. I hope your followers read this post and decide to relax more, for health’s sake. But if the conclusion they come to is that relaxing, first-and-foremost, will get them that elite level performance, they will be disappointed (at least, per the study.) What they should prepare themselves for is years and years of rigorous drill in the least pleasant activities they can imagine, directed practice. After which they’ll need a nap. represent variables that ensure or reflect a certain level of performance. I have heard this a few times now in regards to music, but what about for those people who are forced into something like hourly paid work, where working more hours = generating greater income? How about office work where face time is required, even if you could complete all work within a few hours? Unfortunately, most of our society is not structured to allow this kind of pattern, but structured to prevent it. I’ve spent a lot of time studying the paper you discuss here to try and understand how I can use it in my everyday life. What you say is accurate, but I suspect you may have missed an important point, and that is that the elite performers all took an afternoon nap before beginning the second session of the day. My understanding was that this nap helped to relax the mind and allow more intense focus during the second session. perhaps the real lesson is take more naps. elite players are better performers. perhaps they engage in behaviors that are greater learning challenges (hence deliberate challenging practice) and enhance these efforts through neural consolidation via more sleep -naps and dreaming. the basic activity here is wiring your brain through training, expansion, integration, and development. these violinists would be horrible if they were regularly sleep deprived and they probably understand that. rest and relaxation is incredibly important to cognitive and creative development, and not just sleeping at night. naps and relaxation periods are when we engage in free association and imagination. — where we make NEW connections. everyone knows this. children, who are learning the most must sleep the most. if you want to learn more, really extend what you know, you will be sleeping more for the same reason that children sleep more. you have to recharge and build your brain network. neural pathway formation is very sensitive and dependent on neuro-chemistry. But once pathways are formed, they are much more robust and less sensitive to neuro-chemistry. eg. learning to ride a bike depends on mood and feeling. but once you learn how to ride a bike your moods and feelings are irrelevant to your ability to do it. Mood and feelings are primarily driven by neuro-chemistry. this is why we do training for intense (adrenalin) situations in non-intense situations to build pathways unaffected by the impacts of adrenalin. Building new connections is hard, and it requires recovery and consolidation time. The lesson is really to spend more time in difficult learning tasks. And make sure you take naps and rest and use relaxation time to build up those connections while thinking about what you are working on. The best performers likely have a much more integrated approach to their practice that involves rest and down time as well as focused sessions. That is they are both more focused and more rested. This holistic approach is not being looked at, but it begs the question, are the elite players superior because they are more rested or more focused or both? When the duration of all music-related activities was summed across the diary week, the average number of hours per week was 50.6, and no reliable differences between the groups were found. I don’t know about you but a reasonable number of the items on this list don’t register to me as work, eg: playing for fun, giving lessons, listening to music, professional conversation and organization and preparation. For the rest of the paper, the authors concentrate on the practice alone component, which they consider to be deliberate practice. “The elite players, by contrast, consolidated their work into two well-defined periods. When you plot the average time spent working versus the hours of the day for these players, there are two prominent peaks: one in the morning and one in the afternoon. At best, misleading but probably just false. Yes there are peaks, but even in their non-peak periods, the elite and good players spend more of their time practicing than music teachers do on their ‘peak’. To support your peak theory, the amount of working hours would have to be the same for two groups. One group would have to have a peaky work sessions and the other more uniform work sessions. Now if anything, I claim that elite players are a lot harder working than good players and music teachers. When they are 18, elite players have amassed 7k hours of practice. Good players have amassed 5k hours of practice, whereas music teachers have only amassed only 3k hours of practice. Anyway, I am simply convinced that you don’t give these papers an accurate reading. It’s a bit hard to tell. You ask researches what improves performance – they say deliberate practice. This is a bit circular – but it’s not a vicious circularity – I don’t think so. So I guess you would need to try different methods to see which one works. Terrific article Cal. I wonder how often the separation between the good and the great stems from coaching ability. Occasionally someone might stumble onto a path of deliberate practice and greatness. Jazz great Charlie Parker comes to mind. And we all love those stories. But I would put my money on the fact that elite coaches and mentors groom elite players. huh… really? They rated the deliberate task at such unpleasant levels? I haven’t read the book, but please give me the page number about that and I’ll start reading. To be good is to suffer that much? How can anyone “relax” knowing you’re going through another a few hours of practice? Same with sleeping. I’d say the stress would kill them before the world will really recognize them. Hm.. I wonder if what you’re describing is your situation…. Anyways, I’d say reassess what you want in life. More money at the cost of shorter life and probably added unnecessary stress? It’s fine if you choose that, just don’t regret it. With all these factors you see, age and stuff, perhaps you should have some kind of disclaimer, like you’re narrowing down to certain factors or else probably more people will disagree with you based on their own factors…. What’s worse is that some of them just limit themselves to just those few factors and almost ignore what you say and jump the gun on the conclusion. Maybe, just saying. I quite agree with Cal on this. I started to love swimming only after I had mastered it. I had a terrible teacher though. Pingback: Practice More Effectively, Not Necessarily Longer | "So You Want To Play The Piano"
I think there’s something to be said for natural ability in this equation as well. Some kids just have “it” in a way other kids don’t. Some people are just naturally gifted. My guess is that may be the missing link between the elite and the almost-elite in some cases. They all work hard, practice constantly, but there are a handful whose natural ability allows them to reach a higher level. People often forget how much work can be done away from one’s instrument, too. I was also one of those annoying kids who shot far ahead of everyone else in school; my old math prof still tells people I was his most “brilliant student.” Did I do more homework than everyone else? No. But even when I was doing other stuff, I was still thinking about numbers. I would read books about them that weren’t homework. I would design my own alphabets, while thinking about how they interfaced with the math I was learning. I would watch TV shows about math and science. The difference was that if you had asked me at the time what I was doing, I would have told you I was relaxing. Simply put, elites are always working. Always. and because they are always working, they don’t realize it. If you were to watch Yo Yo Ma in the morning, and it looked like he was just brushing his teeth, I can guarantee you he would really be brushing his teeth and working out a cello issue in his head at the same time. Elites think they don’t have to work as hard as anyone else because they work all the time. Perhaps part of becoming an elite is an inborn ability to concentrate so hard. We can all try to focus more, but I believe the elites have something in their nature that actually allows them to focus more completely–and therefore they accomplish more. I can focus to the best of my ability, and I won’t be Michelangelo. After teaching for many years, I’ve learned that people who suffer from ADHD are told their whole lives to just “focus.” That’s like telling a clinically depressed person to “just snap out of it.” Work toward becoming more focused. Try it in small doses and increase the time. But if you find no matter how hard you try, you simply can’t, you might need medication — and it’s no shame. I know kids who never would have gotten through school without it. Or perhaps you will actually be happy just being competent – and not an elite. That’s no shame either. Perhaps part of becoming an elite is an inborn ability to concentrate so hard. This is possible. 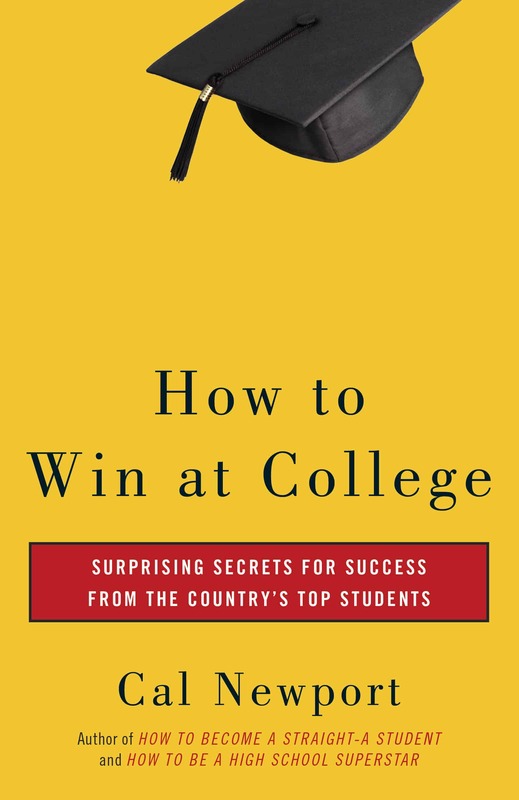 But I’ve noticed in my work with students that focus is quite trainable, like any other skill, so another, more compelling hypothesis, is that focus is key, and it is also learnable, but most people don’t realize the latter helping to keep elite achievement rare. I really like the idea of deliberate practice, and I do think that deliberate practice is a significant factor when separating the “geniuses” from the normal. However, what do you think about savants or “exceptional” geniuses? What is your take on the learning processes of these types of people? I think inborn genetics plays a part in facilitating this type of learning, but that the processes of learning by these types of people can be replicated by normal people. I think that your ideas of studying reflect this concept. To what extent do you think that inborn genetics plays a part in the inclination of people towards this type of learning? I think that genetics plays a part in facilitating an inclination to an efficient type of learning, and I think that your “big idea” studying techniques reflect this type of learning. To what extent do you believe inborn characteristics facilitate an inclination to this type of learning? I actually think that using the studying and learning techniques you suggest can bring a normal person up to the level of “genius” and that society is too focused on the significance of “inborn talent.” However, I cannot reconcile this view when presented with the caliber of people such as Gabriel See and other savants. Happy Thanksgiving and enjoy your modern-day dinosaur! First of all I have to thank you for posting this article it truly made me think a lot about my own schedule and the way I study.I have to say that I experienced the same thing the researchers found in the elite players habits. I experienced it back in my high school years in my birth country. Now in college I find myself behind in many ways, writing papers two nights before they are due and staying up late to study and get relatively poor grades in my exams.Frustrated by my work, I sometimes recall the way I was in high school and how I managed my time.I realized that I was always on top of my work without being stressed and enjoyed more free time.For instance,I used to wake up every Sunday morning at 5:00 am to start studying until 8:00 or 9:00AM. I finished all of my work(for the week)and could enjoy the rest of my day being sure that I memorized whatever I needed to memorize and reviewed for all of my classes which kept me one step ahead of the game.During the week, immediately after getting home I would start studying before sundown and go to bed as early as 9PM.I was focused and knew that I had to manage my time to get the most out of my work.My grades were always up and I rarely struggled. After reading your article,I understand now why I was so efficient. Thanks again for this article it helps a lot. shuttle: Moreover, it’s just simply false that “the more elite the player, the more pronounced the peaks”. You just made this up. If anything, the good players’ graph looks more peaky and elite players’ graph looks more uniform – though the effect is slight and I don’t have the data for these graphs to run tests/measurements on them. I think you’re using “uniform” in some kind of really non-standard way here. “Uniform” usually means evenly dispersed, and the graph for the teachers is clearly more uniform over the waking hours: for any given hour, the percentage of practice is around the same. This is definitely not the case for the good and best students, even if you normalized for total time spent practicing (area under the curve). Also, the graph for the best students clearly shows two well-separated periods of time; the graph for the good students has around the same area under the curve (perhaps even higher), indicating a similar total amount of time practicing, but without such a strong dip around 1:00-3:00 pm. I took an illustration class my final semester in college. It was a class open to non-majors. Very quickly, the class fell into two groups of people: those with the skills–the majors, and those of us without the skills–the non-majors. When an assignment was given, the non-majors started on the final project right away, while the majors did many small experiments where they learned the skill and its nuances. A few hours before the work was due, the non-majors focused on the deadline, while the majors started in on the assigned piece and finished it quickly and fluidly. Looking at the finished work, it was obvious who the majors and non-majors were. The fluidity and the tediousness separated the artists from the non-artists. This might seem much like the music example, but in reading Ian Stewart’s letters to a math student book, he tells the student that they must have fluid skills and that the math must come easy. So no, skills here means any and every skill not just art, or music. The lessons of the artists in that class didn’t sink in until I went about learning how to dance Argentine tango. I learned the real thing, not the ballroom equivalent. I learned how to practice, how to acquire the skills, how to be fluid. The framework I learned does get in the way when a teacher can’t explain themselves in a way that makes what they are teaching easy. The last class I took turned out to be a ballroom class, and the instructor said of some comment I made that I was being very technical. Oh, well. It’s simpler that way. Deliberate practice is everywhere. It isn’t done, because nobody insisted on it back when I was in school. It’s a secret. Nobody says, here are the toys, we have all the toys, play with them, practice, notice the variation, become a virtuoso. Even before that illustration class, a tech Sargent, back when I was in the Air Force said pretty much what the previous paragraph said. It was true. But, no I didn’t get it. Deliberate practice was an option back then. Everything is an art. Everything is a story, as in Billy Joel’s “Bill was a real estate novelist.” All things brought into existence be they a set of accounting books, a rocket ship, or a sale require an artists fluidity. In another before that art class story, I went off to the university candy store and encountered an accounting student and his tutor. The student bought something, and the tutor asked, “Ok, what journal entries would you make for this transaction?” I was amazed that people thought that way. That thinking was the result of deliberate practice. We don’t need double-blind studies and statistical correlation to make the case for deliberate practice. We just need to be deliberate in seeing what the world is teaching us. Check out Kenny Werner’s Effortless Mastery for a detailed account of how to do directed practice (jazz piano in particular, but a lot of it generalizes). A lot of it is about getting over the fear of making mistakes. interestingly you did not mention another point: the best violinists apparently use some form of fixed schedule. There are many indications in the paper. They were very precise in their work (deliberate practice) routine as well as in their time estimates. What if you want to be (or are expected to be) excellent at more than just one thing? What a fascinating article. I have not read the study in question, but since there aren’t very many hard-core professional musicians posting comments here, I thought I would add my individual two cents. We had a saying at the Boston Symphony/Pops, which was, “don’t wear it out… save it for the show.” In hard-core professional performing, it’s not just about precision, it’s about audience connection and excitement. Energy spent practicing is energy that is no longer available for performing. Efficiency is key. In my experience, what made the difference between a top performer and an also-ran (other than burning desire) was the willingness to spend time mastering fundamentals. I suppose this is what the article refers to as “hard to do” work. Just arguing semantics here, but fundamentals aren’t necessarily harder, but it is harder to do them just because they’re so boring and you have to do them over and over again. There is no real direct reason to do them, as one does not derive pleasure directly from doing them. You have to have a higher goal, for which mastery (and misery pertaining thereto) of the fundamentals is necessary. Another element not mentioned (is it seldom mentioned anywhere) is the phenomenon of “assimilation.” If you are practicing on a deep fundamental level, you may not see immediate results. But then you will come back to the same series of notes that you practiced super slow three weeks ago, and suddenly something that was unplayable will now seem is effortless. The subconscious mind is constantly processing this input, and it can sometimes takes weeks, or even years for fundamental practicing to bear fruit. Something else that never gets mentioned is, lousy practicing equals lousy performance. If you’re too tired to practice with great focus and intensity, you’re better off not practicing at all, because the sloppiness of your practicing will get ground into the subconscious mind like ironing stains into a shirt. There are many different kinds of practicing. There is the aforementioned core fundamentals practicing (which most people, sadly, don’t really do all that much), there’s “maintenance” practicing, where you are just keeping your muscles and calluses in shape, and then there’s practicing to learn a new piece of music that you’ve never seen before. Of course, in theory (very much in theory), if your command of fundamentals is good enough, you can sight read anything. It’s like being able to read a book you’ve never read before because your vocabulary and general language skills are good enough. There is also an element of Toyota lean discipline in the process. Your fingers not only know how to find B-flat, they also know how to button buttons, tie a tie, and open the door. A big part of fundamental practicing is playing B-flat while getting rid of anything that isn’t about playing B-flat. Again, it’s all about super efficiency leading to what is sometimes referred to as “the essence of effortlessness.” Sometimes you hear the phrase, “the good ones make it look easy.” Just as reading this comment is easy for you because you have massive control of the highy difficult fundamentals of language, once you have acquired control of the fundamentals of a musical instrument, most of it becomes second nature, and now it’s just a question of thinking of the best way to make the audience happy. then there’s the whole issue of what makes an audience excited by your performance, but that’s a different subject really. many people with massive technique had no clue of how to do that. note i will speaking at authors@google next week about a related topic, what made great conductors so much much better than the also-rans. Hi Cal. I’m a high school student and currently in a year full of exams. My dreams are to open two online businesses and I want to start them as soon as possible, but I don’t want them to get in the way of my studies. My education is important to me since I want to get into med school. Your advice? Interesting finding. It makes sense, the goal is focus and automation. If you automatic most of your daily life where you do not need to think then you will have more mental energy when you practice. Education majors do lots of projects, take lots of hours, observe teachers at public schools, tutor other students, etc. They are always running around, stressed out, and low on sleep. Performance majors practice. A lot. You never see them. So while yes, they are both spending a comparable amount of time on music, the “elite” spend more time on deliberate practice because that’s their job. I just wanted to point out that while the study claims to compare the schedules of the elite and the average, what it really shows is the difference in schedules between performers and educators. It would have been better to pick all of the violinists from the performance track and compare them to each other. Yes, there is a big difference between daily activities of someone who wants to perform music as a profession vs. those who want to become an educator. And as others have already noted, a much better comparison would have been to separate out those who are practicing for future performances vs. those who are going on to be educators. I’d like to see those results as well. As a high school student, does this mean I should be putting more energy into class time and spending frees relaxing? Or more energy into the whole school day and relaxing at home (despite monstrous amounts of homework)? Pingback: ???????????????????..???????? ?… | Ian's Blog ???????????????????..???????? ?… | ??????????????? Pingback: WolframAlpha « Where's Your Proofs? Pingback: Self-Employed? Use Science to be WAY More Productive in 2013! Pingback: No time to meditate. Really? Deliberate practice is what it’s all about. I like to call it “focused practice” instead, because that’s exactly what you are doing…focusing. The more you are focused, the more you will get done and achieve very high levels in a short amount of time. This article completely ignores talent as a factor, and makes the glaring mistake that we’re all more or less equal and that if only we focus and work hard enough at a goal, we cannot fail to achieve it. Drivel. This is my first encounter with this author, and maybe it’s an off day for him, but I am definitely not impressed. I agree, but sometimes it may not always be so, take for instance in research, you know there is work to be done but you don’t know how or what to do to get the desired result. It is those hours of deliberating that sometimes give you the hunch for the how. This article does not state clearly if the study compared the time the students spent practicing their instrument or the time they spent on “music” in general. If it is the latter, the study is worthless and this article lacks any foundation for its conclusions. As other commenters mentioned, education majors have a busy schedule that is heavy with classes and teaching and performance majors mostly spend their time practicing the instrument. If they’re giving 50 hours per week as the time spend on music study, it is likely they mean all the time related to music, not just the time spent practicing the instrument. From my experience, “performance majors” spend 3-4 hours a day practicing their instrument, which rises to 6-8 in the period before exams or competition. The education majors practice their instrument much less, because their focus is on pedagogy classes. Unfortunately there is no data in this article how much either group actually practices. Quite interesting. I’ll try to incorporate this into my life – if it leads to better results with more relaxation, wonderful 🙂 ! I’m pretty relaxed, I’m on my way to being a genius!! hah jk. This is some good information on elite players. Anyone working 50 hours a week should stop working 50 hours a week. Most people I know work around 15 hours a week on a super busy week. The rest of the time is spent watching movies, smoking, playing video games and eating/snacking. On the other hand, sometimes, if you need to accomplish a given set of tasks in a very limited amount of time, there is no possible way of getting it done without being stressed and working nonstop and suffering from a lack of sleep – but in all honesty, that kind of workload is NOT sustainable and can only be continued in short spurts. You only pay me for the 15 minutes a day where I produce genius but I’m gonna keep charging you for 8 hours. isn’t this just more self-improvement? I found myself reading this with a rising sense of anxiety. To divide people already into elite and average to begin with is doing everyone a disservice. I think the main problem may be the competitiveness of it all. If someone wants to practice, that’s great, and of course it’s incredibly difficult, but I’m not sure if scattering it throughout the day would make it less effective. It might be better, because you’re taking lots and lots of “relaxing” breaks. It’s going to be really hard no matter what you do. And it seems like the “elite” players may have made practicing their first priority, so they start in the morning and go until they’ve had enough, and then they take a long break and go after it again. And the scatterers may not be giving it the first priority? This whole study is in error because it is based on one wrong assumption: the elite players and the average players have the same God-given talent. They do not. Two quick examples: I could practice shooting a basketball according to the elite players’ regimen and never be able to take the court with Michael Jordan. Secondly, I could practice my footwork like an elitist and never play futbol like Cristiano Ronaldo. God gives the talent and the skills and the native abilities to people. Without that God-given talent, it doesn’t matter what regimen we employ. After reading all these posts I’m too tired to practice. Pingback: areUXperienced? | Stop being busy and start being awesome. there’s an interesting culture of gamers, that practice 10h+ per day, and they are the ones that win championsips. It is actually very much known in these communities that those who practice harder+more time, much more than 7h per day, get better results. They have the least relaxed lives of all. There’s a game called Starcraft, where there is a clear distinction between Korean and non-korean players. That distinction is made simply because koreans win everything they set foot on. Why? They live in gaming houses, where they have maids that cook them food and make their beds, where they play 10h+ per day. They breathe and dream about the game. The few non-koreans that went on to live on those houses were able to achieve similar performances. Having seen many koreans destroy non-koreans in a lot of games, i simply don’t buy into this idea of just working 7h and call it a day to be the best. That’s simply lack of better competition. I was just wondering if it was better to spend all your time learning every nuance of one hard problem rather than doing several easy, medium problems to learn a concept? I wish I could practice well and have a relaxing day. We are all so busy at my music school with homework and tests most of us are lucky to get an hour a day of personal practice. I pretty much hate it and I am not going back next semester so that I can get some time on the bass, sleep, relaxation time. I am jealous of these German university kids. Pingback: Antique Violins » Blog Archive » Is ‘Deliberate Practice’ Really the Key to Being a Great Violin Player? Pingback: How to Attract an Audience While You're Still Learning the Craft - song written. Thanks for this valuable insight into the work hard play hard philosophy. I play the violin for 2 years now and your right I have been doing somthing very wrong. I always was busy and never realy took the time to relex thank you so mutch for remembering me that! This is an interesting but very mis-leading and flawed article. It assumes that by correcting the way you work, you could become the next…Issac Stern, or the like. There is something called “innate talent” that some have that is not subject to rational analysis as you have done here. Growing up I studied all the articles similar to this, to be as efficient and use my time as effective as I could in quest of the goal of becoming a great musician. I went to Juilliard. While there, I had a roommate that for several years practically never practiced as I did, and yet, seemed to have a natural gift to playing with no visible evidence of working at it, like I did. Needless to say, he became a star performer on stage with a very extensive and successfully long career. It always baffled me how some could be so innately talented. At the time I was convinced I could overcome anyone that talented with efficient hard work. It did not work. There are so many more things at work here than what you suggest. Personality, politics, natural gifts, contacts, etc.etc. As one, who had done his homework 50 years ago, following paths like the one you suggest, I can definitely tell you…your analysis above, is very flawed! Pingback: VMV Inskin » » How To Look Good? BE Good. I love the name of the blog! I am a strong believer of people should be doing things they love so to them they don’t feel as they are “busy” but instead doing what they love! Great blog post and great comments!! 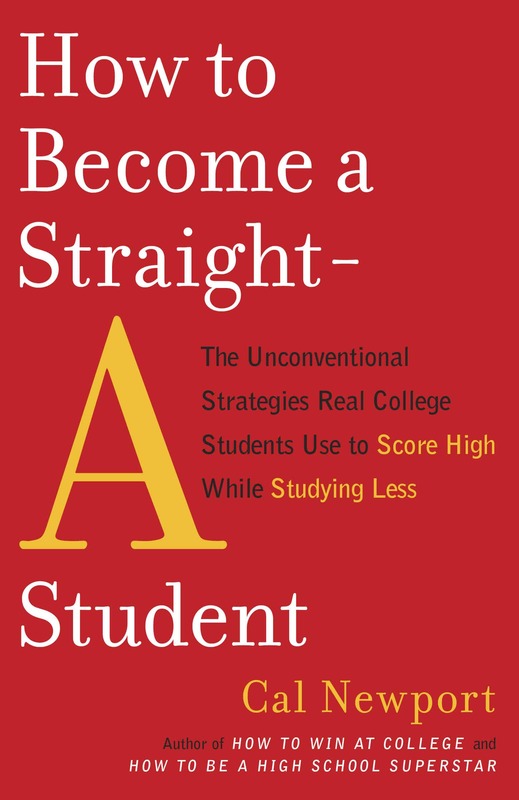 Pingback: Habits of top students – EDU ?????? I'm a computer science professor who writes about the intersection of technology and society. I’m particularly interested in the impact of new technologies on our ability to perform productive work and lead satisfying lives. If you’re new to my writing, a good place to start is the about page. You can access over a decade's worth of posts in the blog archive. You'll receive the blog posts via email. Your email address is never sold or shared. Note: This site is a participant in the Amazon Services LLC Associates Program, an affiliate advertising program designed to provide a means for sites to earn advertising fees by advertising and linking to Amazon.com.